Home / Restaurant Equipment / Commercial Ice Machines / Modular Ice Machines / Hoshizaki KML-325MAJ Modular Crescent Cube Ice Maker, Air-Cooled, 380 lb. Hoshizaki KML-325MAJ Modular Crescent Cube Ice Maker, Air-Cooled, 380 lb. The KML-325MAJ is capable of producing approximately 380 pounds of crescent cubed ice. Mount 2 units side-by-side for 2x the ice production in the same floor space! The efficient double-sided stainless steel evaporators create unique crescent shaped ice cubes. 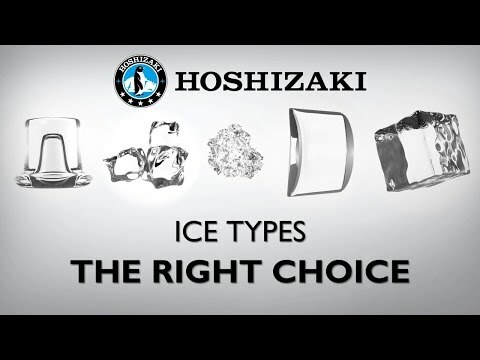 It is the purest and hardest ice on the market and is a perfect fit for a wide range of applications. This air-cooled, low profile modular ice maker features a CycleSaver design and includes the EverCheck alert system making the unit energy efficient and simple to maintain. The KML-325MAJ requires a single phase, 115v/60/1, 3 wire, including ground electrical connection that is hard-wired at the installation site. Compatible bins & dispensers, sold separately: B-250, B-500, B-700, B-800, B-900, B-1150, B-1300, B-1500, B-1650, DB-200H, DM-200B.